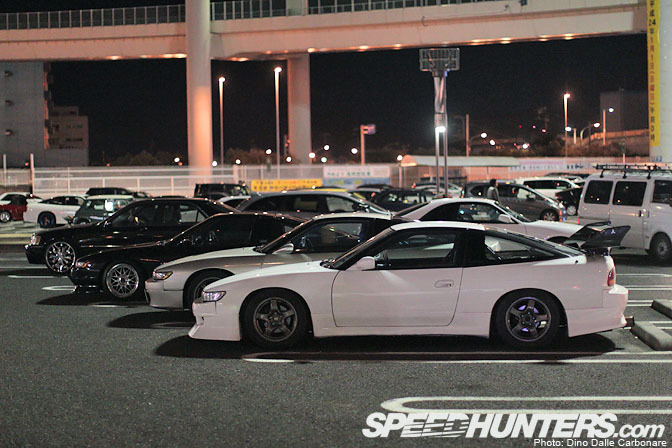 …where every year a small group of S13/RPS13 enthusiasts organize a small meet. …that continuously drop in throughout the night. 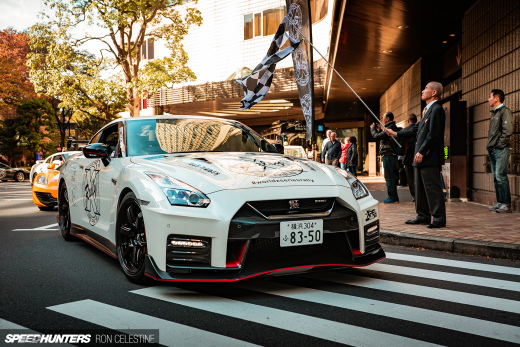 Most Japanese are still on their New Year’s break so there was quite a lot happening. 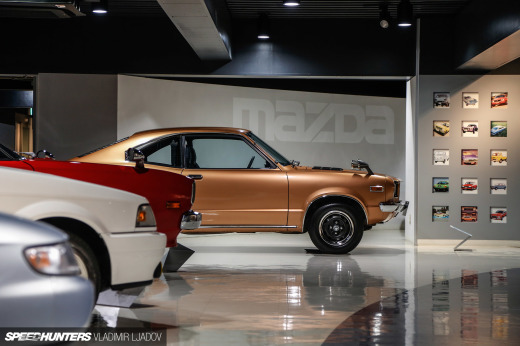 …all sporting different levels of tune. 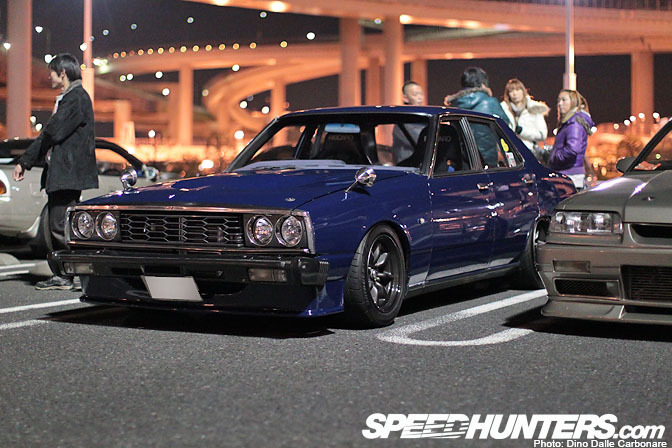 …and one that the Bosozoku always seem to favor, a Skyline Japan. 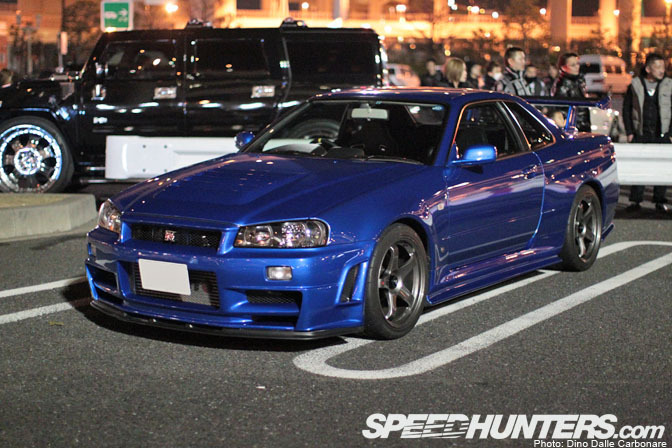 The Z-tune bumper on the R34 looks so damn hot, especially when joined by the prohibitively expensive R-tune carbon hood! 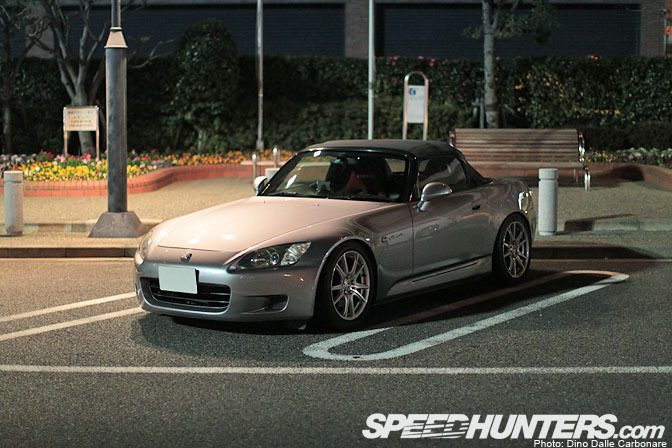 …and this lonely AP1 which was sitting in a dark corner of the parking lot. 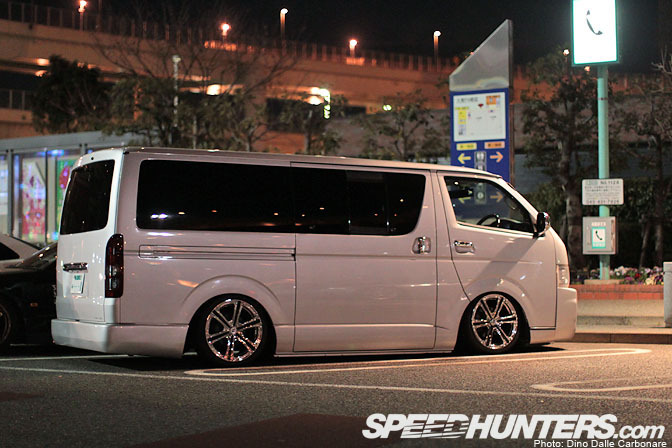 It’s all about variety at Daikoku, and you really can’t get more Japanese than a slammed Toyota Hiace on bags! Yup, even a few low-riders dropped by! One car that pretty much stole most of my attention was this brand new Ferrari 458 Italia. This is precisely how I like these works of art, finished off in a simple shade of white. I got chatting to the owner who has been enjoying his new toy for the past two months, racking up an impressive 3,000 miles. Around the capital, that is no small feat! He was kind enough to allow me to park my behind on that tight wine-red leather which covers most surfaces in the interior and even crank the barking V8 into life. I felt like I was inside a spaceship! I then spotted a very low, familiar looking red shape in the far distance. 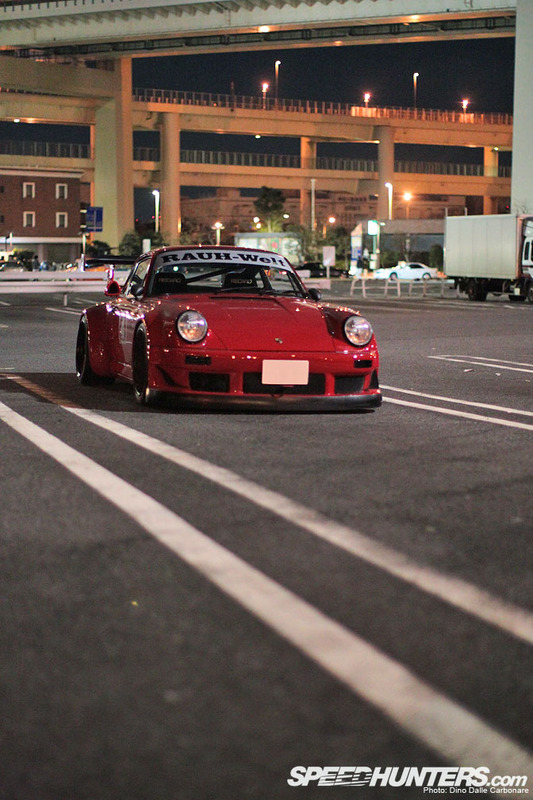 As I made my way over I realized it was the number 4 RWB 964 which is owned by a cool guy called Takashi. Takashi had seen that I would be heading down to Daikoku on my Facebook page, so dropped by to say hello. 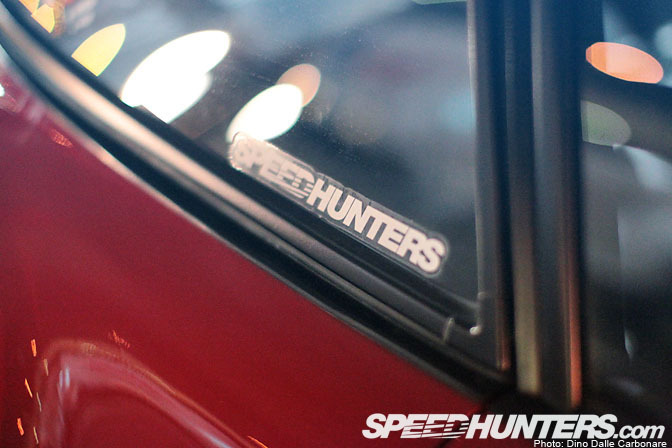 I noticed his car didn’t have any Speedhunters stickers so I made sure this was taken care of then and there! 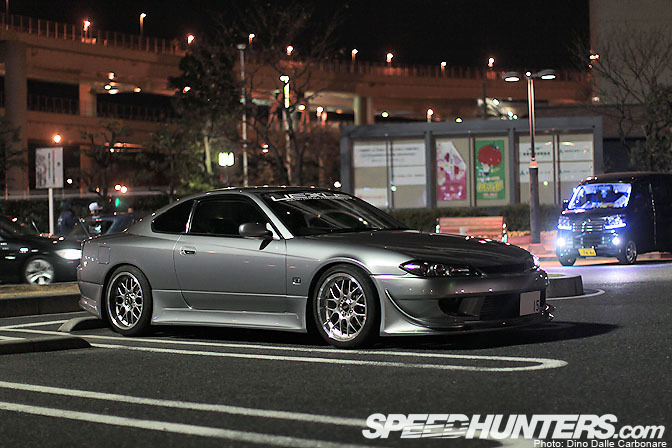 Drift-spec S15 Silvia, another welcome addition to the S-chassis line up. 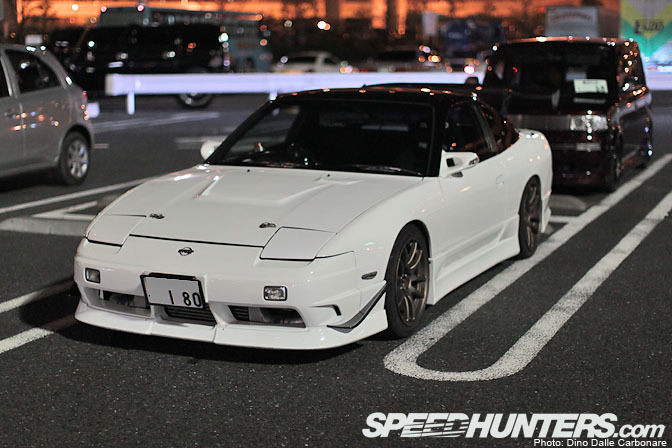 How clean is this, with number plate to match! It looked pretty quiet on the opposite side of the parking lot but hiding among regular cars I noticed this Veilside kitted Z33 and a very clean, stock BNR32. 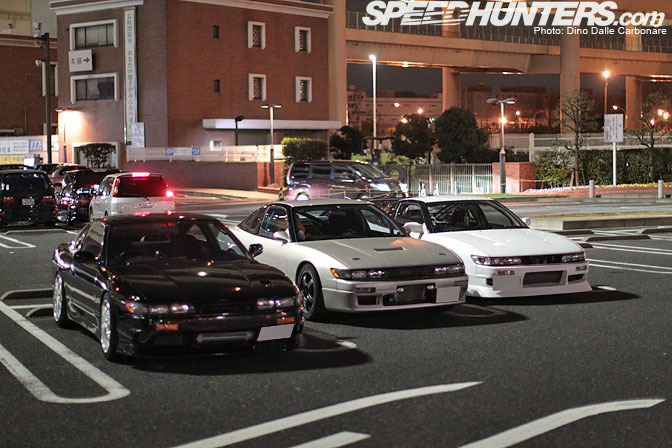 And how could a night at Daikoku be complete without a showing from a VIP crew. 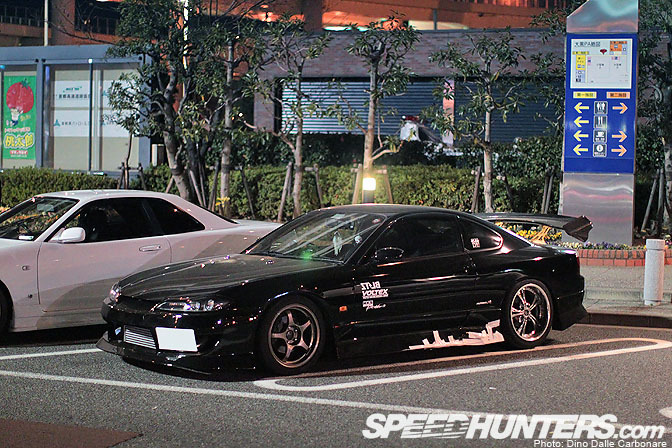 How about that for stance! 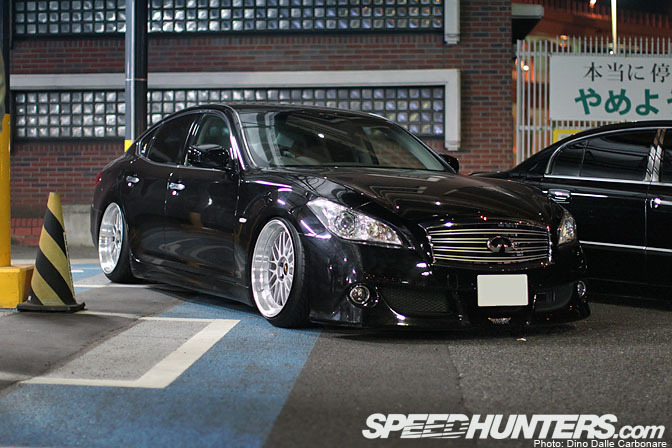 This new-gen Nissan Fuga sure lends itself well to a nice lowering and adequately sized wheels. Little Sunny GL sedan in tip top condition. And to finish off an M5 riding on a CE28s. Daikoku never disappoints! 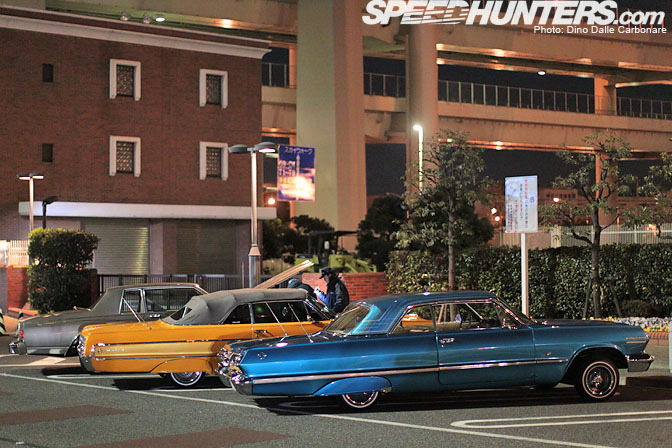 I love all the post like this, how is the lowrider scene in Japan? I would love to go there some day. 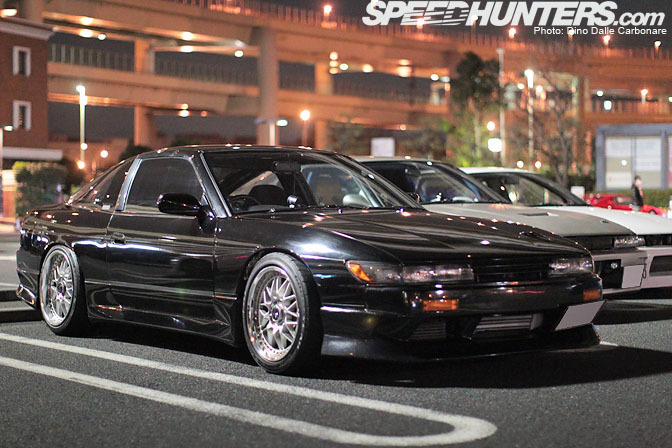 Cars like that roll through Daikoku on any given night? Madness! 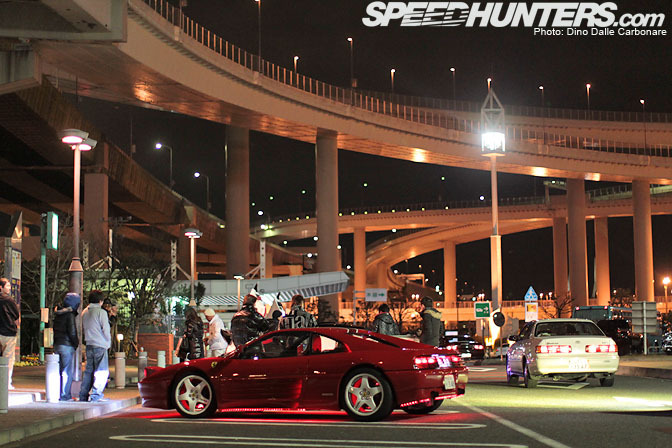 That Ferrari must be owned by the people who have been installing all the turbo timers in all of my JDM- rides. If you know what i mean. more on that VIP crew ! 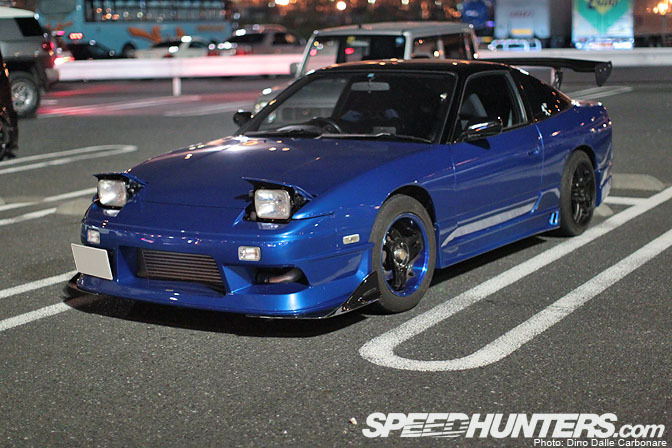 "The third day of January marks the beginning of our S-chassis Festival..." Technically that's incorrect. 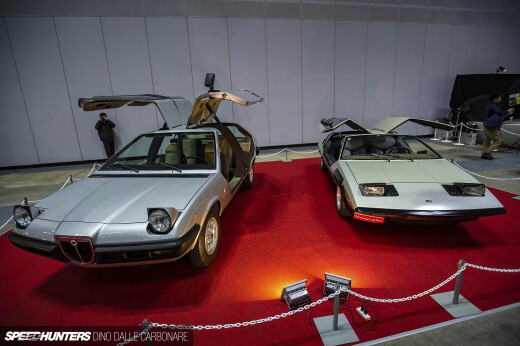 You don't count the S12 chassis? Dino, a piece of advice: don't go to Daikoku anymore. Every year is the same sh!t. Just post pictures from the previous year and I GUARANTEE you most people would fall for it. This deja-vu is boring. 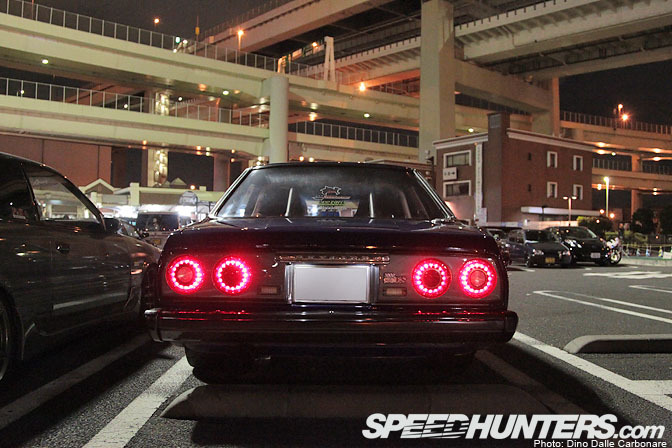 Let me guess, sometime around the first week of march you guys are gonna have several features on the Skyline? Wahooski, they're factory for the JDM spec, projectors only came in as an option on some specs from August 87 build. Most of the ones I've seen here in NZ are standard reflectors. The Ferrari looks sweet, but the front looks a little high. It may be a crappy 348, but neons and stickers deserve a smack in the teeth. what makes u think every year its the same? if u dnt want too see/read this post just dont click it. JDMized said: "Every year is the same sh!t." When was the last time you saw an orange Mark X on hydraulics like that? BLEW. MY. FLUCKING. MIND. 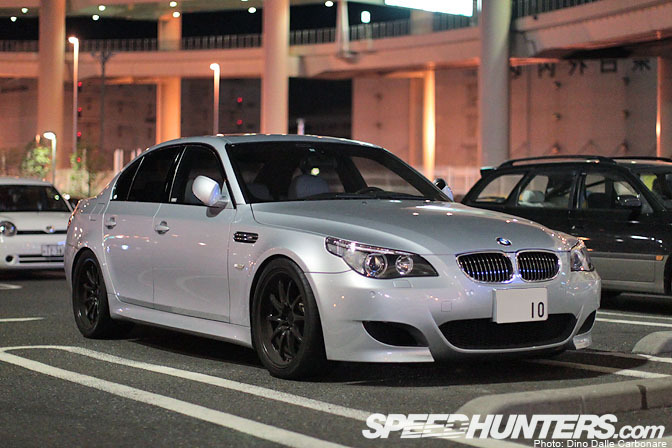 Is that M5 in that last lic left hand drive? oh my days!!! 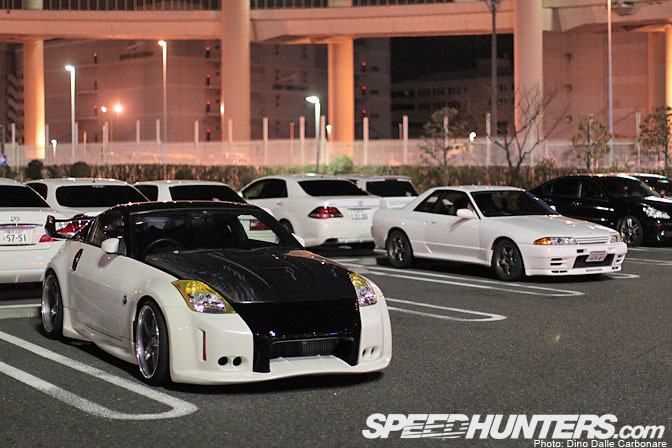 daikoku certainly does show a variety of cars!! anyone spot the Hummer on some 'dubs'?!!! please desktop the VIP crew!!! baaaaaaaalllllllllllllllliiiiiiiiiinnnnnnnnnnnnnn!!!!!!!!!!!!!!! Dino`s posts are the best! If you don't like the post just hit the back button and leave. It may be the "same thing every year" to you but i love every minute of it. On a brighter note, diggin that #4 Porsche! Dino, man... I wish you could release all of these pictures as desktops. 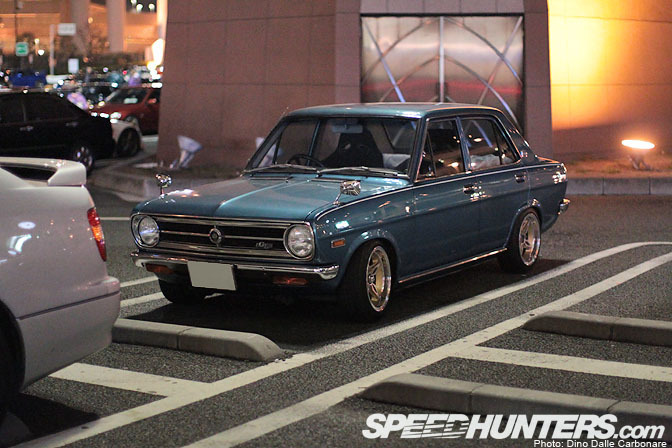 Wasting all these cool cars on little 672x448 pictures isn't fair! 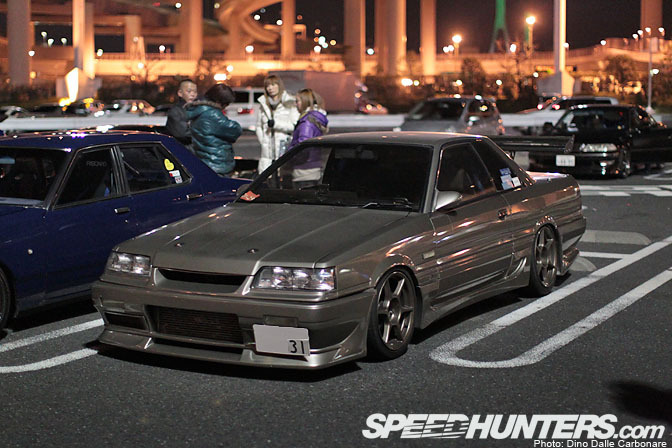 And I never get bored of the Daikoku Futo PA. It's like a portal to another world. Is it still going on? Where exactly is the location of this place? I just realized I've been there but during daytime. Well, I'm deffinitely going back at night. Hey, I love the Daikoku posts and head out there every once in a while as well. 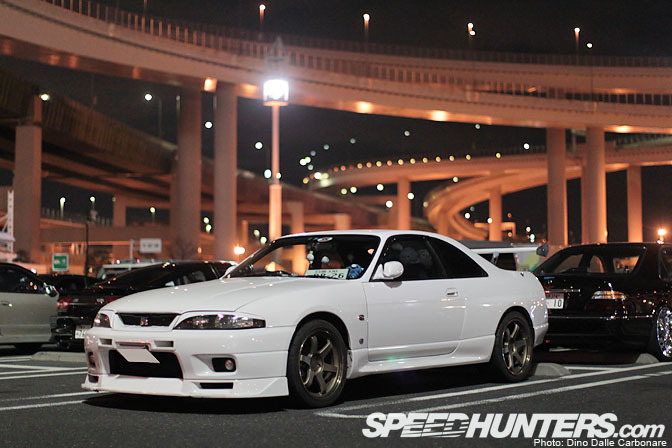 I bumped into you (Dino) at an 86 day a while back down at Daikoku. I have a questions for you (or anyone). Why is there so much noise in the pics this time? It looks liek the shots are all done at 1600 iso or higher. I read your posts all the time and I noticed this is worse than usual. I know taking pics at night is tough but I'm wondering if there is any other reason. Did you not use a tripod for these pics or were you using a different lens? I remember your advice when I met you that the quality of the lens is paramount when shooting at night and I know that your camera and lenses are way better than what I use. I am wondering only because my camera has started to become noisier and I am suspecting the sensor is going bad but I can't find any sources that confirm that this is possible. Awesome pics from a great-looking meet! Thank you! 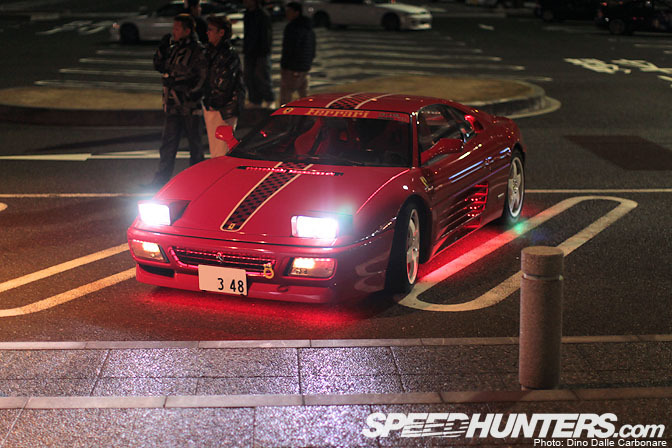 ... oh and that poor Ferrari 348. Why can't we have car parks marked out like that in the UK? Perhaps people will stop smashing their door into my car then. 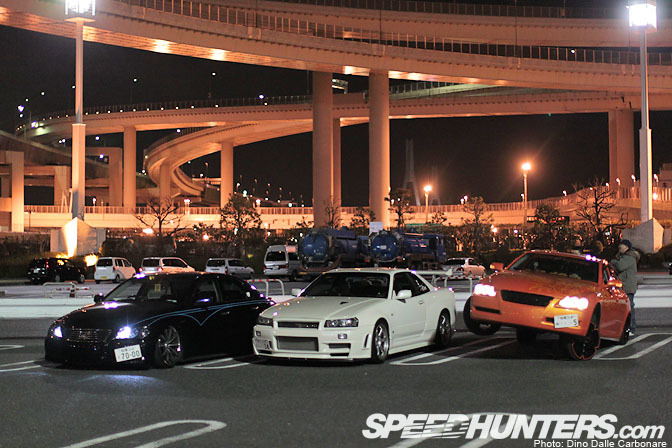 Now thats what I call a car meet, some of my dream cars in there, great stuff!